Along with most, I’m always very excited as Memorial Day draws near. Not only is it a long weekend that includes time with friends, family, and relaxation, it also symbolizes the start of the summer. After a frigid NC winter that never seemed to end, summer can’t come fast enough. My summers tend to involve a lot of beach trips and a few Coronas to go along, but this year my focus is drawn elsewhere. 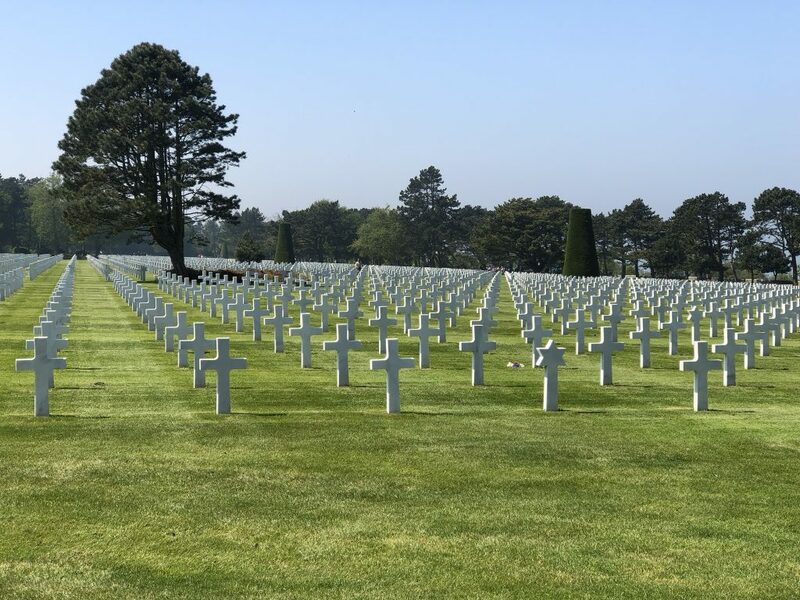 I had the pleasure of spending a day in Normandy, France earlier this May with my family, visiting sites involved with the June 6th, 1944 landing of Allied Forces on the beaches of northern France. Admittedly, I’m a bit of a history nerd, but I truly believe anyone would find this trip as cool as I did. We learned about the battles that took place and the details of how they played out. Things that are to miniscule to learn in a high school textbook. After touring Omaha Beach and Pointe du Hoc, we visited the Normandy American Cemetery. What a truly humble experience this was, placing eyes on the graves of thousands of men and women who gave the ultimate sacrifice of pure selflessness for the betterment of humanity. These soldiers fought for people they did not know and could not even converse with, however laid their lives on the line so that these people could live in peace. As Memorial Day weekend begins, I urge you to take a moment to think about the sacrifices of our military and their families, and those who gave their lives to protect the freedoms you enjoy. If you have the chance, please thank a veteran for their service and pray for those who are currently deployed.